Every day hundreds of container ships enter and leave U.S. ports. But navigating in and out is tricky business. With shallow waters, ship traffic, and bridges – Ports can be a real obstacle course. How does a huge ship actually fit under a bridge? It’s not easy. Ships have gotten much bigger over time. Now deeper and taller, hitting the bottom of bridges is an emerging safety issue. When navigating into ports, ship captains monitor real-time data on water conditions like tides, currents, and winds. During high tide, there is less room to fit under the bridge. During low tides, a ship could run aground. To solve this problem, NOAA created the Air Gap system. This tool measures the clearance between the water surface and the bridge. These measurements are updated every six minutes to account for changes in water level and bridge height, due to bridge traffic, air temperature, and other factors. This info will tell the captain exactly how much room he’s got to safely navigate the ship under the bridge. This high-tech tool helps prevent accidents keeping ships safe and on schedule. More than 1.34 billion metric tons of cargo, valued at $1.73 trillion, shipped in and out of U.S. ports in foreign trade in 2011. 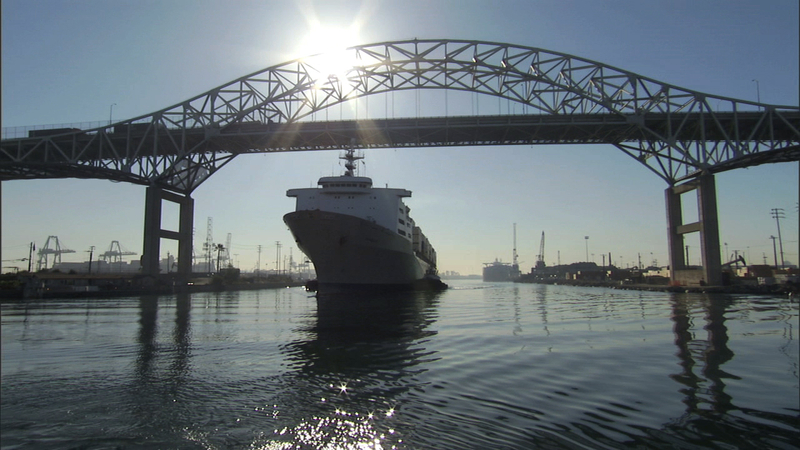 Those ports support, directly and indirectly, more than 13 million American jobs. Along with Air Gap sensors, port authorities, local officials, and marine pilot associations also use data from the PORTS system to determine if a waterway is open and safe for navigation. PORTS provides up-to-the-minute information on tides, currents, salinity, water and air temperature, atmospheric pressure, and wind (speed, gusts, and direction). This data helps captains time the movement of their ships.